We just finished our Five Years and Going Strong contest that celebrates the myArmoury.com forum's five-year anniversary. The contest winner has been randomly chosen from the 240 people who entered! 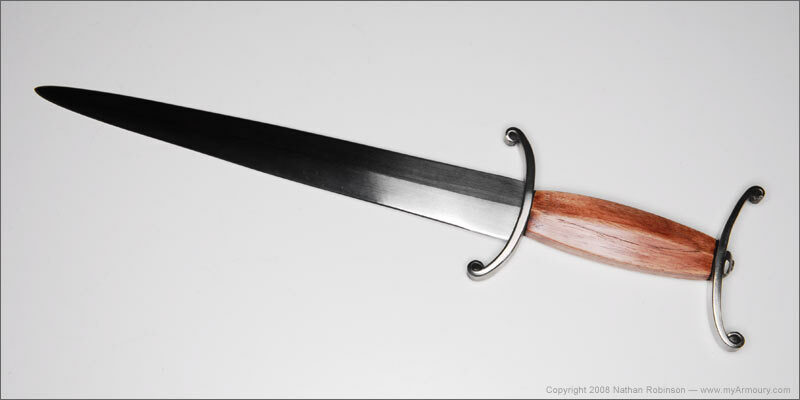 Scott Kowalski of Oak Lawn, Illinois is the winner of the Aunlaz Dagger donated by Arms & Armor. Please take a moment to congratulate the winner and thank Arms & Armor for sponsoring this contest. And of course also congratulations to myArmoury for keeping up for 5 years already! Thank you A.A. I look forward to receiving the dagger and doing my own once over. I would also like to thank Nathan and the rest of the myArmoury team for keeping this great site going for all of us to get together as well as the folks at Arms & Armor for donating the dagger and making such good products. Grats Scott. When I opened this thread I thought ' that's odd my name isn't spelled S c o t t , there's been a mistake "
Congratulations Scott, that's a fine dagger! And thanks to A&A for the prize. It's great to see support for the myArmoury site from the industry as well as the members! Congratulations Scott and I'm sure you are going to like it as much as I like mine. That's a fine looking dagger you're about to get your hands on. Thanks to A&A for the support and to the myArmoury team and members for keeping the level of discussion and information so high. This is truly a valuable resource for all of us interested in historical arms and armor. Well done all. Congratulations, Scott ! I'm sure you will enjoy your prize. Happy winnings, Scott. Thanks again to A&A for donating the prize, and of course to Nathan for making a place for all of this to come together. Nice going, Scott! Looks like you got a good one. Congrats! Wishing you well with it. Congratulations, Scott! I'm sure it will look as great in your collection as it would have in mine ! Thank you all for the congratulations. I am really looking forward to receiving my third item made by A&A. If this is is done as well as the first two it will be a great addition to my small but growing collection. What other A&A items do you have? The package went out today, by the way. I also have the 12th century spear that I picked up at Kult of Athena last year as well as an Iberian Mace that I got from the Bristol Ren Faire last month. I am also on Craig's list to have an axe made that I had asked for input from our fellow members earlier this year. Thank you for the heads up on the package Nathan. I just wanted to say that the dagger arrived today, after 6pm. Talk about waiting. It arrived safe and sound never the less and is everything I was expecting from my prior two experiences with A&A's items. The fitting looks to be top notch and the finish is good as well. 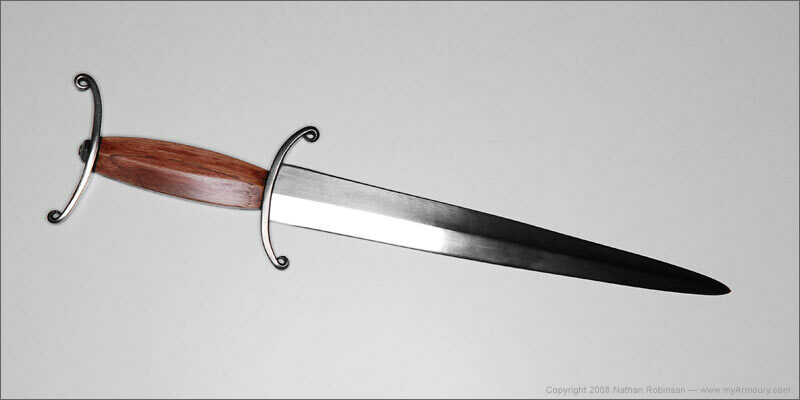 I will try and get my photographer to get a group shot of the dagger along with my 12th century spear and Iberian mace. I would once again like to thank the staff and members of myArmoury as well as the fine folks up at A&A for this great prize.